San Diego Asylum Lawyer by Habib Hasbini, Attorney at Law. If you’ve fled your home country and are afraid to go back, you may qualify for asylum or refugee status in the U.S.
What’s the difference between asylum and refugee status under U.S. immigration laws — that is, who should seek asylum status, and who should seek refugee status? It’s simply a matter of where you are when you apply. 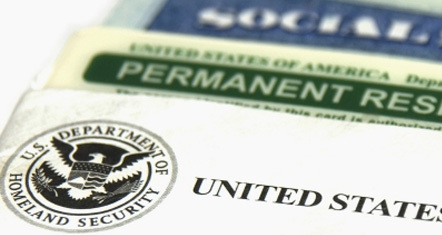 People outside of the United States must apply for refugee status. People who have already made it to the U.S. border or the interior (perhaps by using a visa or by entering illegally) can apply for asylum status. Let’s look more closely at what these requirements mean. Even if a foreign government stands by while someone else commits acts of persecution — for example, if the authorities are unwilling or unable to exercise control while members of a vigilante squad gang up on gays and lesbians or while members of a guerilla group threaten or kidnap people who won’t voluntarily join them — this too can qualify as persecution, which would support asylum or refugee status. There is one type of persecution that is actually listed in the law: Being forced to undergo (or the fear of being forced to undergo) a program of “coercive population control.” This specific protection is aimed at victims of the kind of forced abortion and sterilization that takes place in mainland China. Just remember that the persecution must be connected to one of five grounds — race, religion, nationality, membership in a social group, or political opinion — discussed in more detail below. For example, violence directed against gays and lesbians is recognized as persecution connected to membership in a social group. But violence against an individual who happens to have angered a local criminal does not have the necessary connection to one of the five grounds, so a victim of that kind of persecution wouldn’t be eligible for asylum or refugee status from the U.S. government. In recent years, the U.S. government has recognized persecution based on gender (usually based on the “particular social group” category). This has allowed some women to gain asylum based on having undergone (or fearing they’ll be forced to undergo) cultural practices such as female genital cutting, forced marriage, or domestic violence. As mentioned above, the U.S. government grants asylum or refugee status to a person who has suffered or fears persecution that’s based on one of only five grounds. The first three grounds — race, religion, and nationality — are fairly self explanatory. Let’s look at the remaining two grounds — political opinion and membership in a particular social group — since they aren’t as clear. Persecution of this kind means that you hold opinions that the authorities don’t tolerate, most likely opinions that are critical of the government’s policies or methods. Of course, you would need to show that the authorities know about your opinions — otherwise, they’d have no reason to persecute you. It will help if you have, for example, spoken in public, written about your criticisms, or taken part in anti-government protests. People have proven persecution for political opinion based on having taken part in student demonstrations, been active in labor unions, advocated independence for a particular ethnic group, or joined an opposition political party. This category is the most difficult of the five to define, and is the subject of many legal arguments. A social group is sometimes said to mean an identifiable group of people whose government views it as a threat. Or it is described as a group sharing a common characteristic that is so fundamental to their individual identities that the members cannot — or should not be expected to — change it. The group must be recognized within society as a distinct entity. Examples of particular social groups whose members have been accepted as asylees or refugees by the U.S. government include tribes or ethnic groups, social classes (such as educated elite), family members of dissidents, occupational groups, homosexuals, members or former members of the police or military (who may be targeted for assassination), and, in some cases, women.